Our service goes further than every day cleaning – we are also specialists in dealing with flood damaged carpets and flooring. Your carpets and flooring can quickly become damaged beyond repair – creating costly bills for your home or business. In the event of such, you must act quickly and ensure that the process is carried out with professionalism and care. 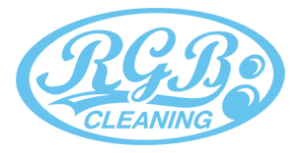 We are able to provide this service to domestic and commercial properties and recommend that you contact RGB Cleaning as soon as possible to assess the premises. How can RGB Cleaning help my flood damaged flooring/carpet? We use our high-powered machines to remove the dirty water from your carpets. We utilise powerful air-flow devices and dehumidifiers to dry your carpet. Following this, we sanitise your carpets to prevent any spread of bacteria or dangerous contaminants. We then begin the deep cleaning Hot Water Extraction method. The final stage of the process is ensuring that your flooring /carpet is fully dried out and recovered.